In the last few months I have had the pleasure and privilege of speaking to midwives about the language used when a baby is born with Down’s Syndrome. The Down’s Syndrome Association arrange “Tell it Right” training days where parents of children with DS can share their experiences (good and bad). 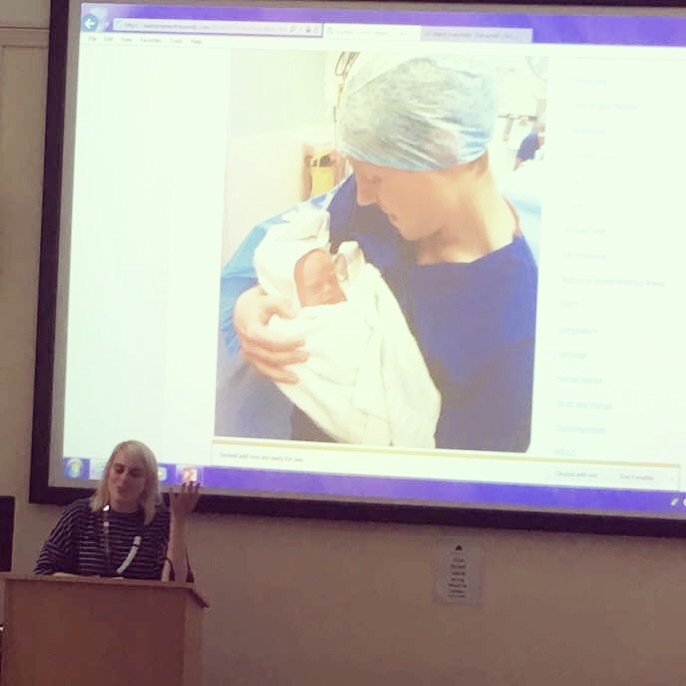 The first time was in April at the Eastbourne campus of the University of Sussex, speaking to student midwives and then more recently, (this month) at the Royal County Sussex Hospital, speaking to qualified midwives and those involved with the screening process. At both talks I gave a raw and honest account of my feelings when Audrey was born, how those feelings changed and what life is like for us as a family today. As I came away both times feeling like I’d missed certain details, I’m writing this post to cover everything I said and also everything I wanted to say. I hope this proves useful for anyone (NHS professionals, friends and family, new parents…) involved in the birth of a baby with Trisomy 21 (ooh I don’t use that term much, it’s the medical name for Down’s Syndrome). My pregnancy with Audrey was lovely. I had no morning sickness, felt relaxed and happy and just had a bit of heartburn to contend with. We had the nuchal fold screening at 12 weeks – our chance of a baby with Down’s Syndrome was “low risk” – 1 in 1,000. We received that news in a letter and thought nothing of it. The day Audrey was born was a scorcher in July 2013, I had concerns over lack of foetal movement, so I ended up at the Royal Sussex County Hospital just after 6pm with my friend. 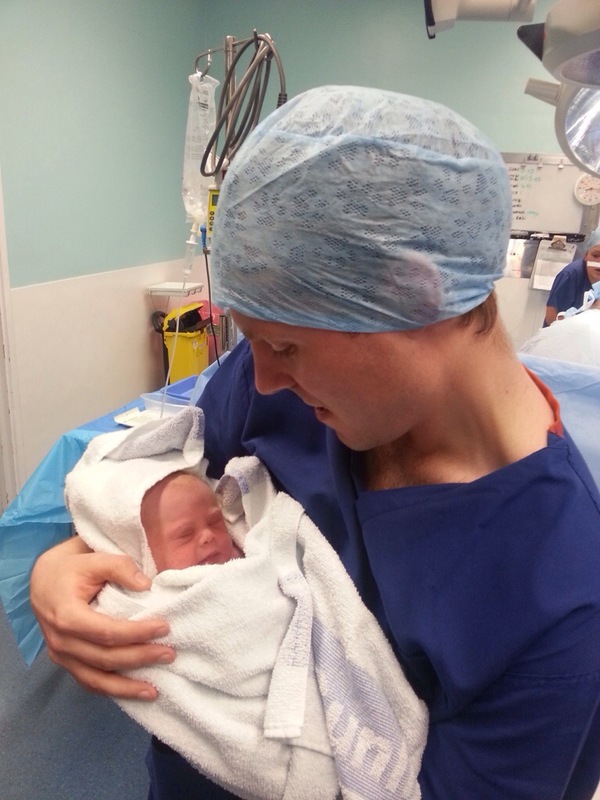 I was hooked up so the baby could be monitored, they soon decided she was in distress and needed to come out, I was not in labour so the only option was an emergency caesarean. It was a very quick turnaround, this news was delivered to us at around 6.45pm when my husband walked through the door. Audrey was born at 7.51pm. My first sight of her was wrapped in a towel in Ted’s arms. 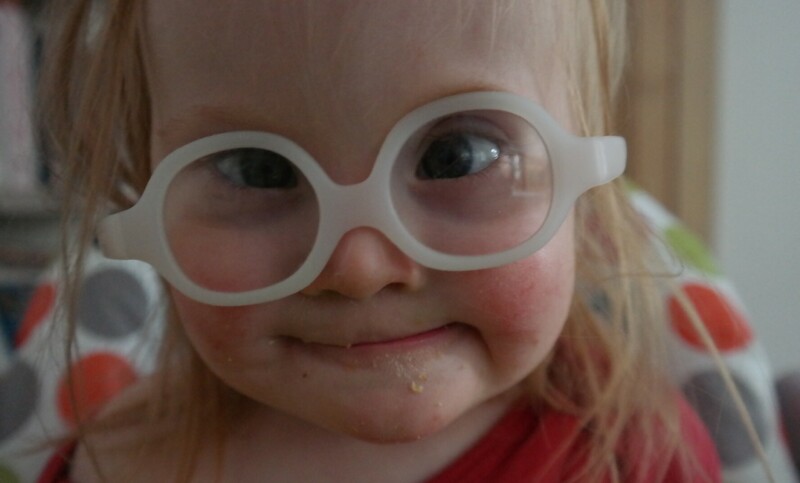 I saw her eyes and I saw it then; Down’s Syndrome? She was laid on my chest for skin to skin and as soon as I had full view of her I knew; I said “This baby has Down’s Syndrome”. I felt sick inside. 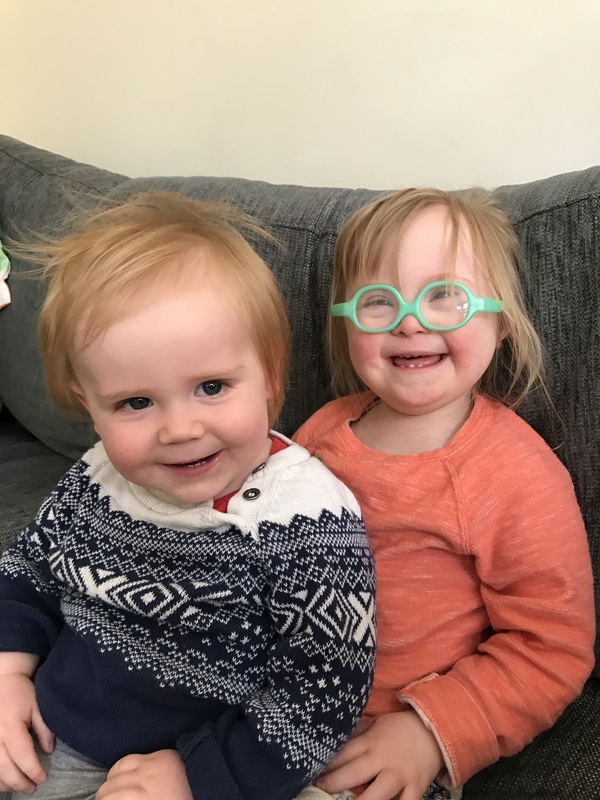 Ted went to speak to someone (even though he felt silly asking, because clearly our baby wouldn’t have Down’s Syndrome), but they said that indeed, there were “markers” – a hand crease, a toe gap, the eyes… but then she was whisked away to the baby unit for care and I was left to recover. We were shell-shocked. It was a bad dream… wasn’t it? No one said anything stupid at that time. I say that because people do. I’ve heard lots of examples, from “he’ll never give you grandchildren” to “some of them even read nowadays”. These are not helpful statements. Ever. But certainly not in the minutes/hours/days since your baby has been born. How about we just treat this situation like we should; a human baby has arrived. One that has a condition that tells us a bit (but not all) of what they might be like, of what challenges they might face. No one is born with a life CV. Can you imagine getting a note with your baby that says “Will have a series of dead-end jobs, have two failed marriages, get fat, get diabetes and struggle with an alcohol problem”? Doesn’t sound like a baby you’d want to raise. But there are no gold star life guarantees with a baby. Whenever I revisit Audrey’s birth I cry. I want to go back and take away the fear, take away the dread and the denial. We had chosen her name before we knew she was in there, we had a name for our potential girl and a name for our potential boy. I put a “pause” on that when she popped out. I asked Ted if we could use our back up name. I felt this wasn’t my Audrey. She wouldn’t be pretty or delicate as I imagined, she was now something else. Something ugly. 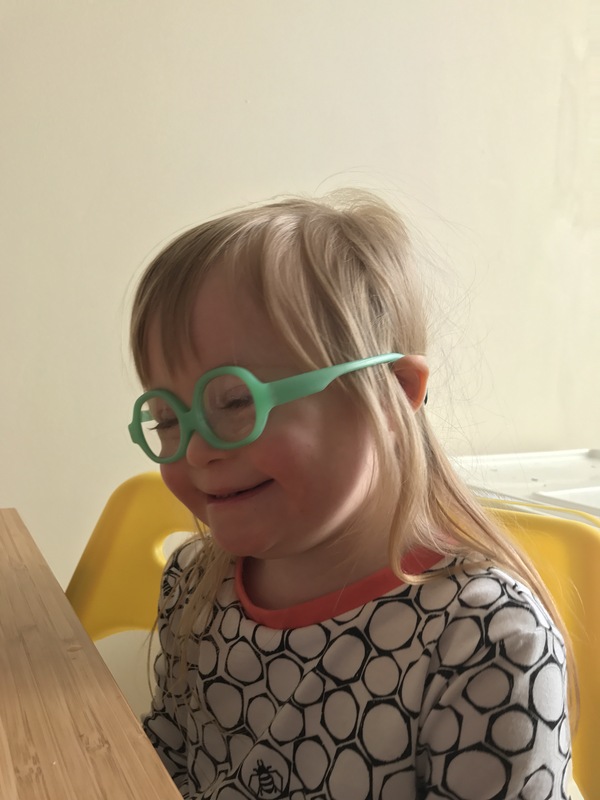 I’d have to have another daughter without Down’s Syndrome to name her Audrey… Thankfully Ted stood firm and made me realise; she wasn’t a second choice baby, she didn’t deserve a second choice name. She was our Audrey, we just hadn’t realised. And wow, is she more Audrey than I could ever have imagined! A child so beautiful and delicate – my heart swells with pride and joy everyday because of her and how she is. I never could have imagined in those troubled 24 hours just how lovely she would be, but more than that, how she would exceed our expectations and make us proud to be her parents. Audrey needed oxygen (it’s thought due to a floppy larynx), for 6 months, but had no other health concerns and she breastfed (I’ve also heard stories about people being told babies with DS can’t breastfeed, but that isn’t true). Having her attached to machines, looking so helpless, well it kind of helped us gain some perspective. It was certainly better to have this baby with a condition than no baby at all – you can quickly push a syndrome aside when you are worried a baby might not live. I’d like to add that having Rex gave me a new perspective on Audrey’s birth- because I felt a similar numbness, shock and confusion at the sight of him and he clearly didn’t have Down’s Syndrome. A woman who has just given birth is in a crazy place mentally – it wasn’t a rush of love and perfection for me at either birth. The Hollywood movies lie. Both times I was surprised by the baby I saw, I had somehow projected so far that I had pictured my baby and the moment they arrived and nothing could ever measure up to that expectation. What a bummer. 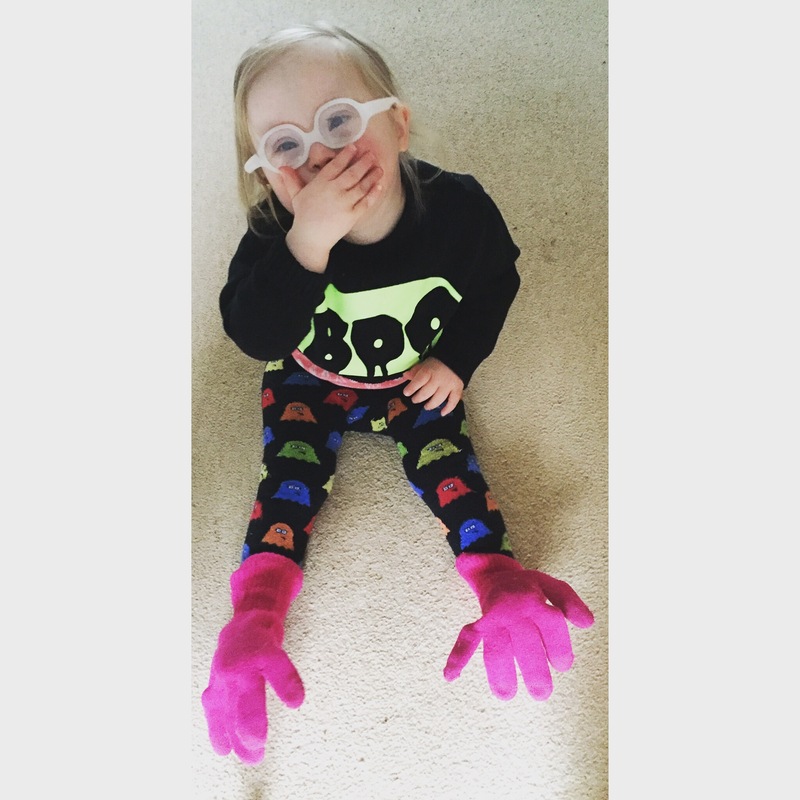 But I’m not trying to disguise the fact that having a child with special needs can be challenging. 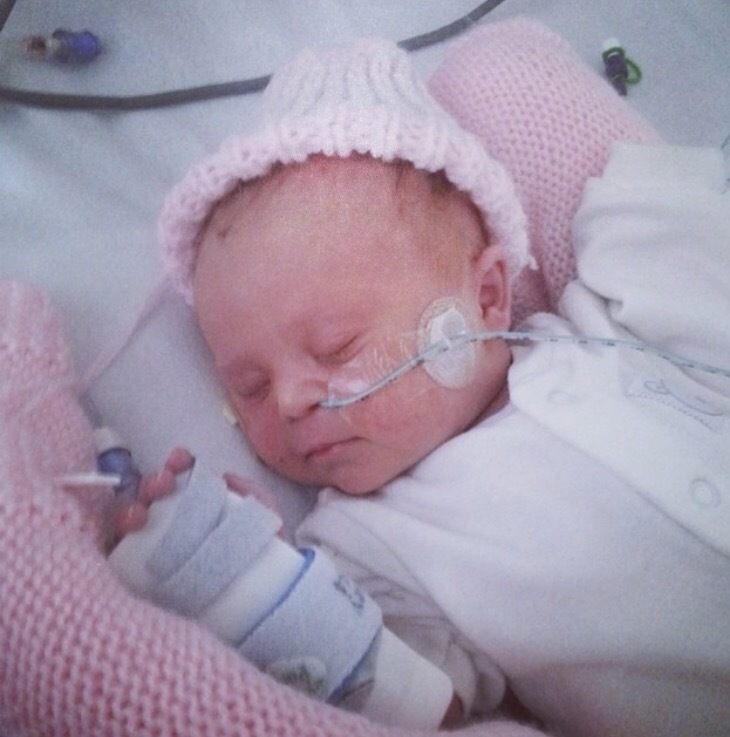 It was tough to have a baby in hospital for the first 3 weeks of her life. Of course we didn’t enjoy her being on oxygen for 6 months and I found it frustrating when she still wasn’t walking at 3, but that time and those struggles seem like a small blip now. We have a walking, talking almost 4 year old who likes books, dolls and music. She attends mainstream nursery, which she loves. She squabbles with her younger like any other little girl would, loves chocolate cake and Mr Tumble. Just yesterday she told her daddy he was “Looking fresh!” and this afternoon she said (to a 17 month old who had visited us) “Goodbye! Thanks chunky legs!”. So what do you say if a baby unexpectedly pops out with Down’s Syndrome? First, congratulations. Yes of course deal with/discuss any immediate health challenges, but if the baby is healthy, you could mention that they have a “naturally occurring chromosomal arrangement” (thank you Rose Mordi, President of the National Down Syndrome Foundation of Nigeria). Then you could go on to say that you’ve met families with children with the condition and they had a lot of positive things to say, but above all, they loved and enjoyed their child. Their only regrets; that they could have known from the beginning that this wasn’t bad news, it was just different news. We adjusted to our new path quite quickly really, Audrey went from the worst thing happening to us at that moment, to being a baby, to being a baby we loved, to being this awesome child that we get to raise! Now we show her off at every opportunity and we marvel in all the things she is teaching her younger brother. We are so lucky to have two beautiful, wonderful children, both of whom are a challenge(! ), but that make us happy. 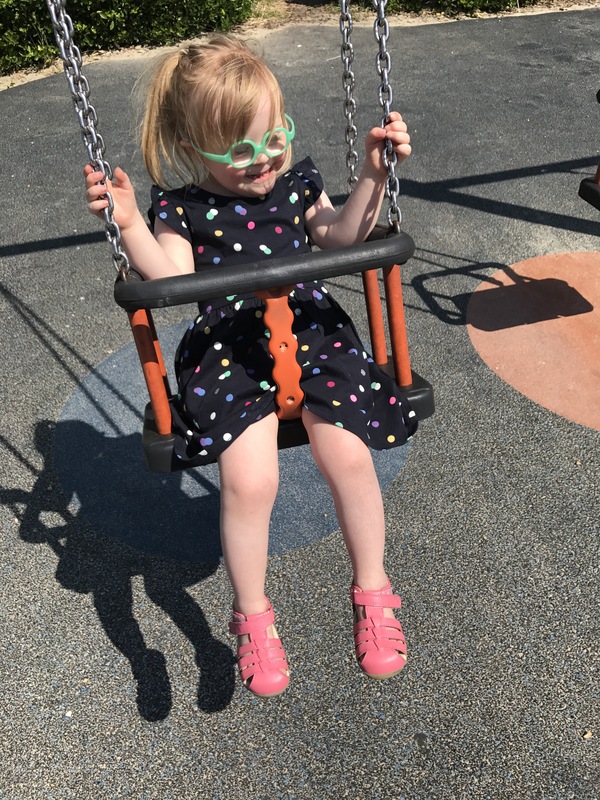 Sometimes the lows make the highs much sweeter – I truly love that I have gone from fretting about her lack of future (in those early days) to being excited by all that she can and will achieve. It’s was my birthday yesterday at 40 weeks pregnant. Yep, birthday due date for a birth-day. First time around Audrey got the star-prep: hypnobirthing, raspberry leaf tea, fit ball bouncing, massage; all the recommended stuff. And of course, I had no labour and a quick c-section. Second timer gets: day 39+ 1 = first listen of hypnobirthing CD. 39+3 = reading breathing techniques. 39+6 = damn, no raspberry leaf tea in our local Sainsburys. 40 = waters break and we realise newborn clothes are in loft and need washing. Basically I’ve slacked off because I have another child who is my entire focus (at least, that’s my excuse!). On the plus side, I have packed a thorough hospital bag. So we (Ted) lug it across town, getting the bus so we can stop off and buy baby clothes on the way. I’m checked over and as I’m not in labour, we get sent home to wait and see what develops. Audrey is enjoying a mini break with her Bibi (Grandma), so after lunch we basically sleep. So here I am on week 40+1, contractions came and went in the night, so we are on our way in to be induced. The house is a mess, I’ve been last-minute cramming with my hypnobirthing book and I think maybe we’ll treat ourselves to a taxi ride to hospital today! The little man will hopefully be with us today/tomorrow! Eek!